After centuries of struggle for life, human kind has finally managed to treat most of the diseases which took the lives of countless individuals. Today, the avarage of human life has reached nearly 80 years. However, while the infectious diseases are being treated and metabolic diseases can be controlled, a new enemy emerges from a place of our bodies we still have not explored fully yet; our brains! Human brain still has a lot to be discovered. Just as the cerebral anatomy and physiology, the pathology which means the diseases of it remains a secret. We have drugs that suppress the symptoms but we do not have the cures. For most, we do not even know the reasons behind these diseases. 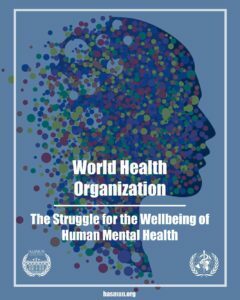 Disorders like depression and Autism increase every year while Alzheimer’s, Parkinson’s, Miyastenia Gravis (Grave Weakness), Schizophrenia (Splitting of Mind), Amyotropic Lateral Sclerosis (ALS) still cause totally healthy individuals to lose their gained capabilities, making them unable to fully join to the society. The patients become dependant on constant care. This is hard for the patients, their relatives and for the health professionals. Also it creates a burden for the economy.